This is the website of Kat and Adrian Kingsley-Hughes. You can find out a little more about us below. 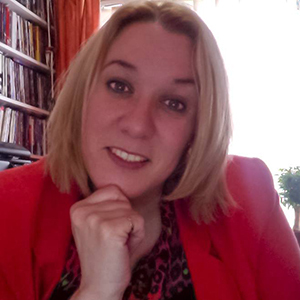 Kat Kingsley-Hughes is a writer with more than twenty titles in a number of different areas for many different publishers (including Osborne McGraw-Hill and Wiley), journals, magazines and online content providers such as Element K, Ziff-Davis, InformIT, CNET and Extreme Tech. She writes on a wide variety of subjects, including technology, social media, lifestyle, personal development, writing, transmedia, creative writing and story development. Kat is also a keen photographer, independent filmmaker and screenwriter. In 2005 she co-founded BitLabz Media which produces media content and analysis for websites, major news outlets and media networks around the world. Adrian Kingsley-Hughes is a technology journalist and author who has devoted over a decade to helping users get the most from technology. Adrian writes for CBS as a technology pundit and consumer champion at ZDNet’s Hardware 2.0, which covers tech news, gadgets and gizmos, software and operating systems. Over the last decade Adrian has written, co-authored and tech edited many technology-related titles as well as writing for various magazines and industry journals. He writes regularly for CBS Interactive, CNET, Forbes and Datamation as well as acting as a technology consultant for industry, including radio, television and Internet broadcasters. 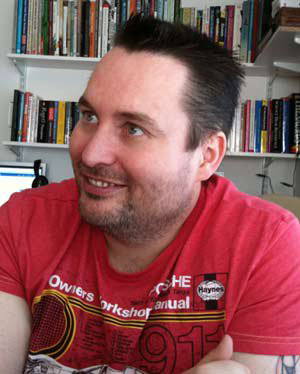 In 2004 he authored the book series The PC Doctor’s Guide which aimed to make the lives of computer users easier by teaching them to solve their own common computer and technology problems, as well as teaching them how to undertake both small and large scale hardware projects such as replacing motherboards and building their own PCs. As an experienced online trainer, he has taught students these skills at Element K, SmartPlanet, ZDU and CNET. To date his oldest student was an 87 year-old grandmother who successfully built her own PC! Amy Kingsley-Hughes, actress, artist and writer, is also a regular contributor to the site. Please check out her blog and bio. This site was first started in the year 2000 as an ASP site covering a wide range of subject areas including technology, programming, PC hardware, security, encryption and web design. As well as providing information about our work and books, this archive site also covered our other interests such as bushcraft, off-roading, geocaching and photography. During its lifetime the archive site served over a million page views. Many of the archived web pages which are still available via the Site Map.